Founded in 1989 to promote heritage tourism, Historic Hotels of America is the official program of the National Trust for Historic Preservation for recognizing and celebrating the finest Historic Hotels. 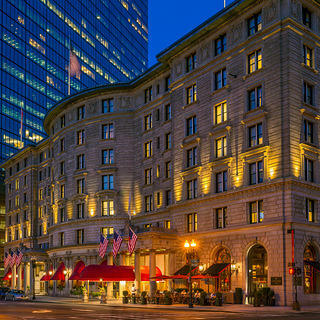 Historic Hotels of America has identified over 300 quality hotels that have faithfully maintained their historic integrity, architecture and ambiance. To be nominated and selected for membership into this prestigious program, a hotel must be at least 50 years old; has been designated by the U.S. Secretary of the Interior as a National Historic Landmark or listed in or eligible for listing in the National Register of Historic Places; and recognized as having historic significance. The map below provides links to all of the Historic Hotels of America. But, if you are looking for something a little further afield then may we recommend Historic Hotels Worldwide? Sometimes members of the Historic Hotels of America offer unique historic packages that include elegant accommodations along with a unique tour or event. National Trust members are offered an additional 10% off this special package opportunity. To secure this additional discount, enter Rate Code: NHP when booking these experiences. To see these unique packages, and book yours today, go to the special National Trust Member Deals page at the Historic Hotels of America website. This directory includes profiles of all the hotels in the Historic Hotels of America portfolio. Participating hotels listed now offer a National Trust Member Group Rate (minimum of 10 rooms) to our members, granting 5% off the hotel’s best available rate or the prevailing group rate, whichever is lower. Complete and submit an online RFP form to the Historic Hotels of America National Sales Office, and include your National Trust member number in the Comments field. Questions? Contact Michael DiRienzo in the Historic Hotels of America National Sales Office, (202) 772-8337 (do not contact the hotel directly for this offer). Plan your wedding or family reunion today! Can't remember your member number? Log into your account.